Majority Leader of the House blast’s Fincher’s bill. Speaker-in-waiting Paul Ryan delivers scathing remarks on the House floor. 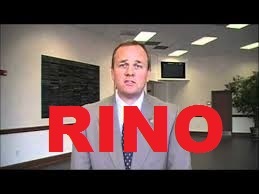 Fincher fails to get even one of his Tennessee Republican colleagues to vote with him. GOP delegation unanimous in opposing Fincher’s legislation. Rep. Paul Ryan, current chairman of the Ways and Means Committee and the likely new speaker of the House, said he strongly disapproved of the bill. House Majority Leader Kevin McCarthy, who came out in opposition to the bank last year, echoed Ryan’s statements. You can stop digging that hole now Stephen. You’ve reached China.